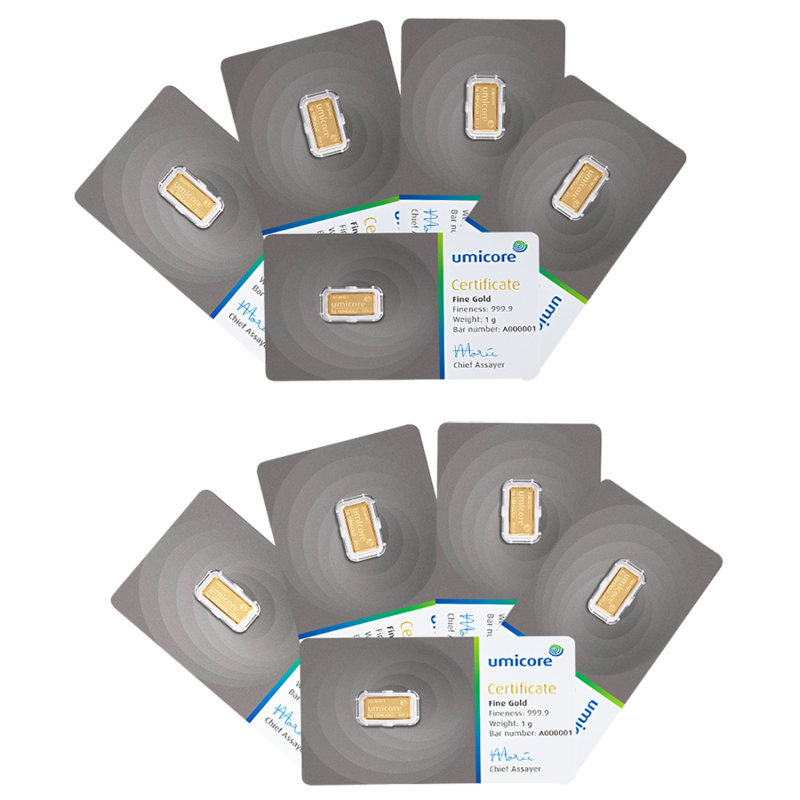 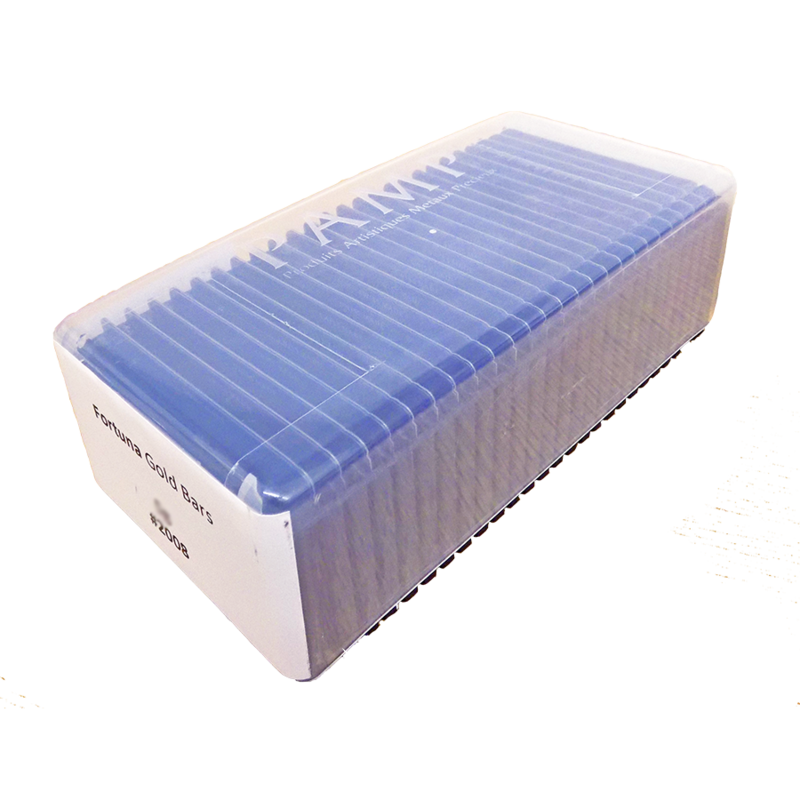 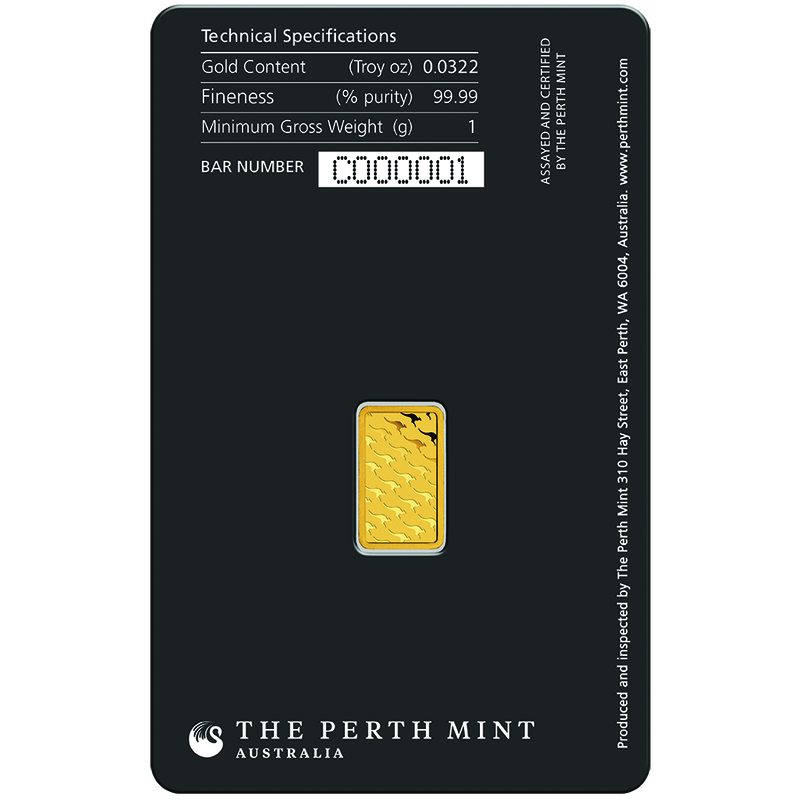 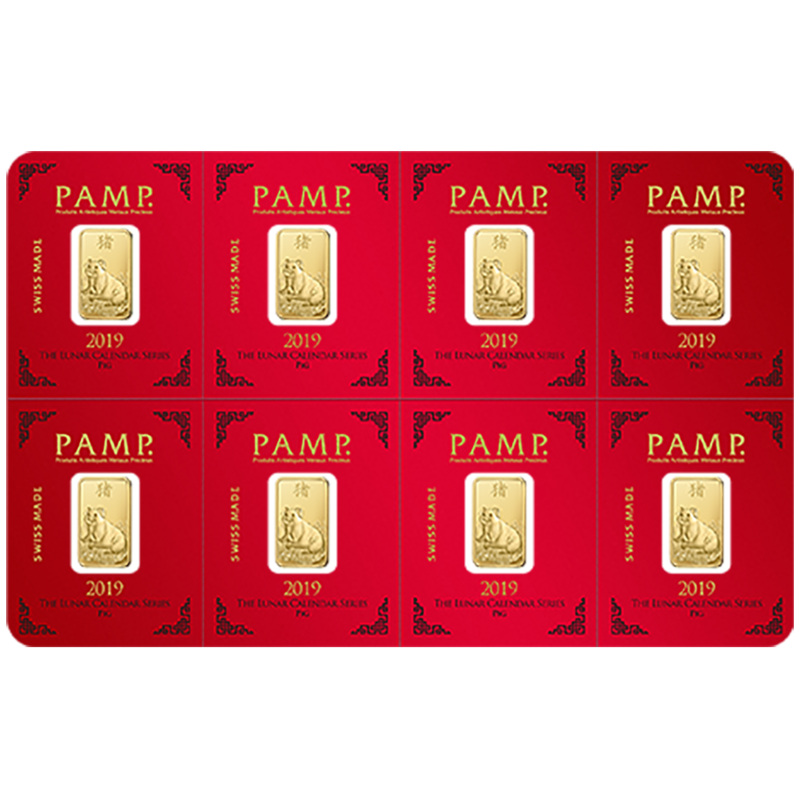 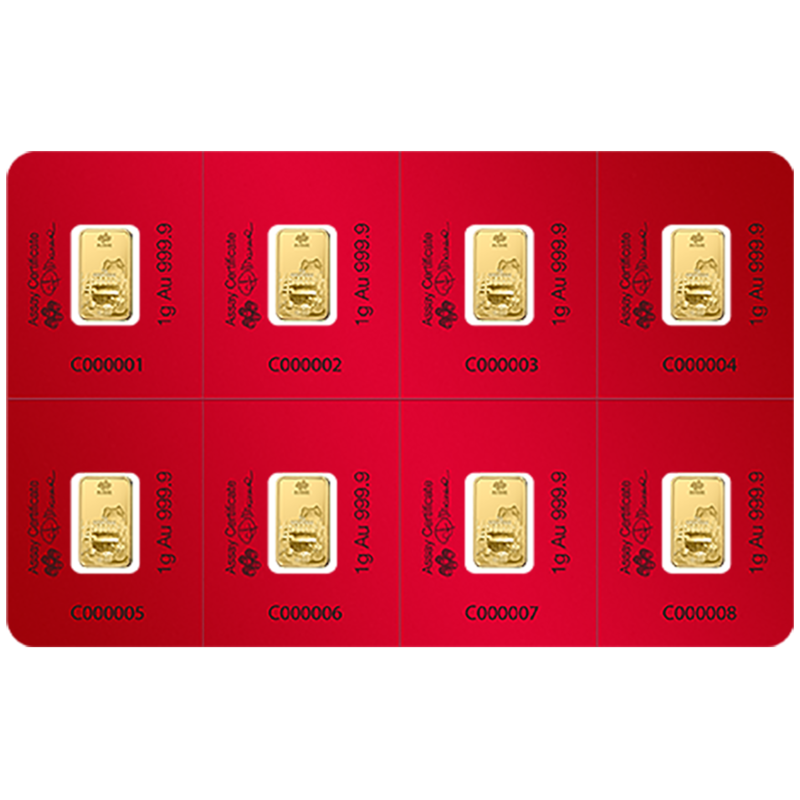 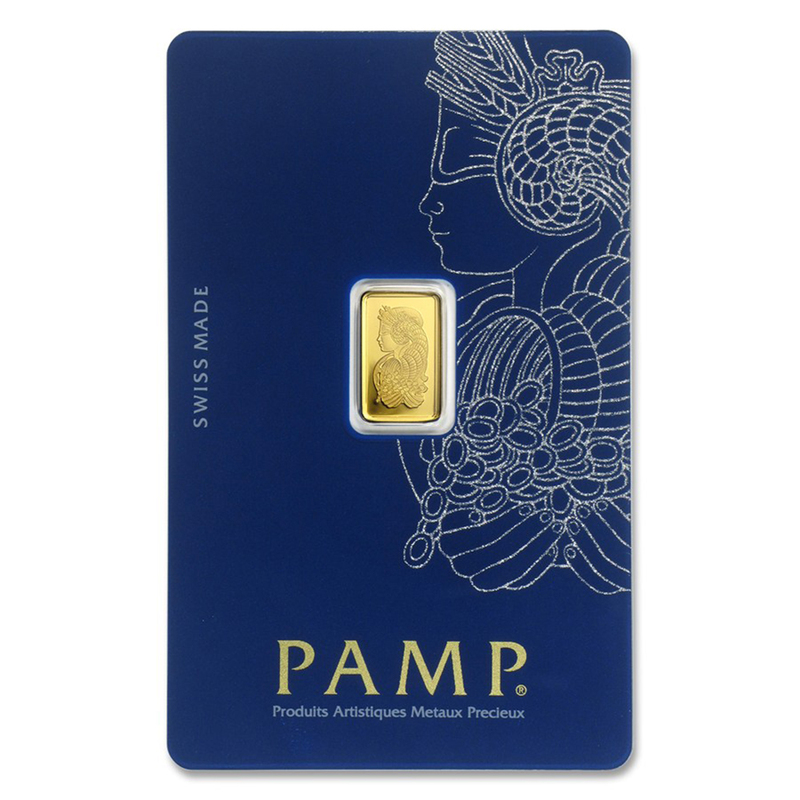 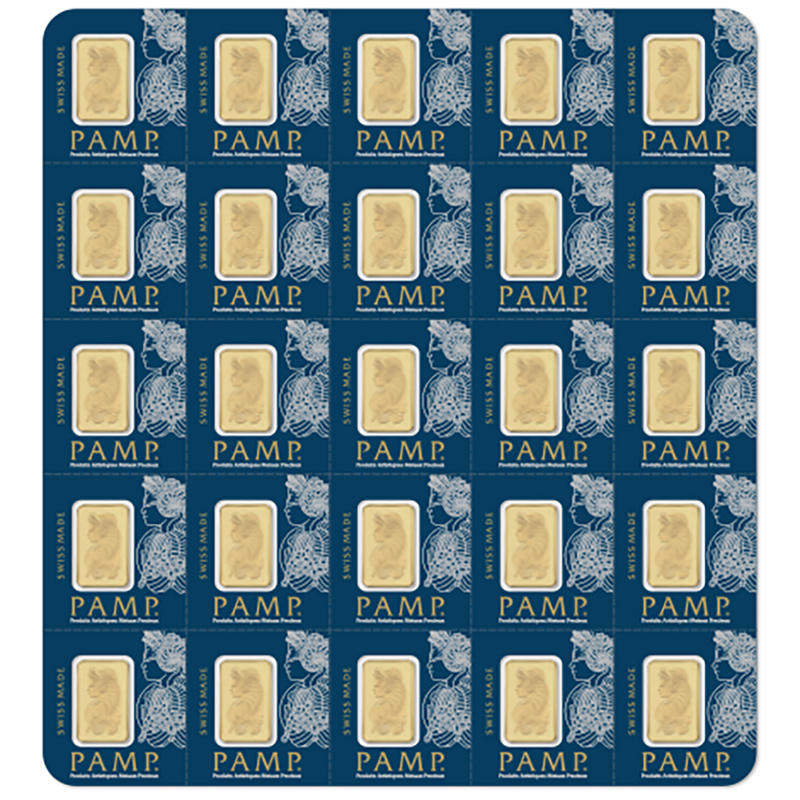 The PAMP 2019 Lunar Pig 8x 1g Multigram Gold Bar features 8 individual 1 gram gold bars together as one. 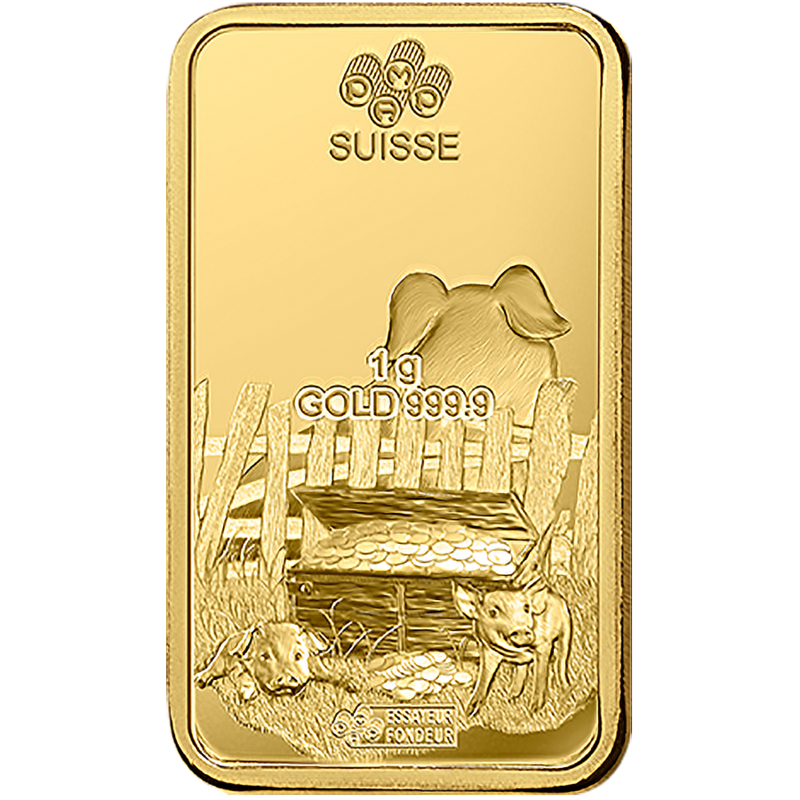 Each of the bars features a Happy Looking Pig sat on the grass with one trotter resting on a small tree stump. 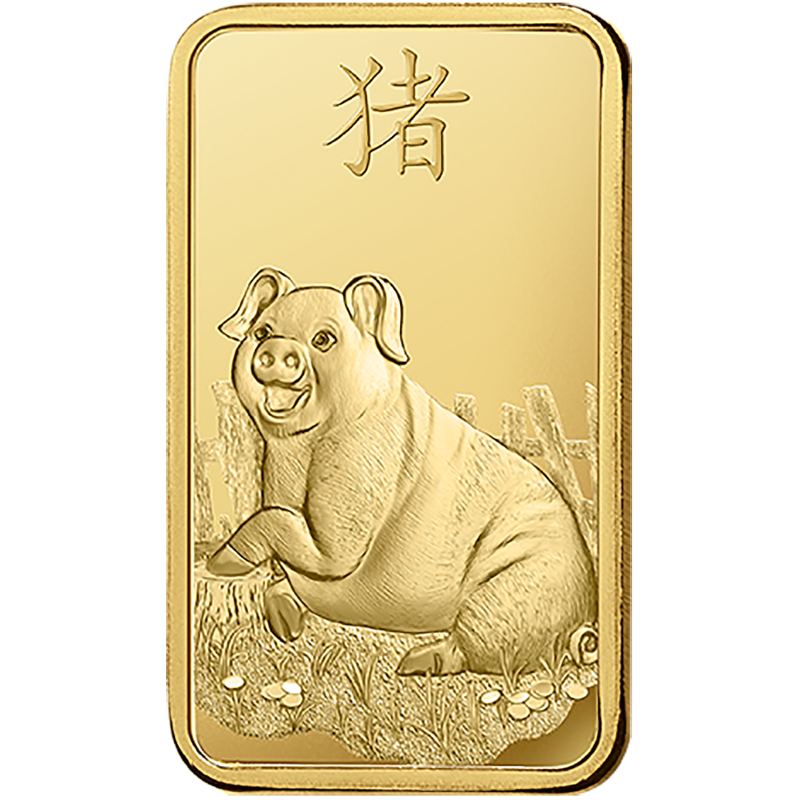 The Chinese symbol for pig is inscribed above the pig and there are coins on the ground in front of the pig. 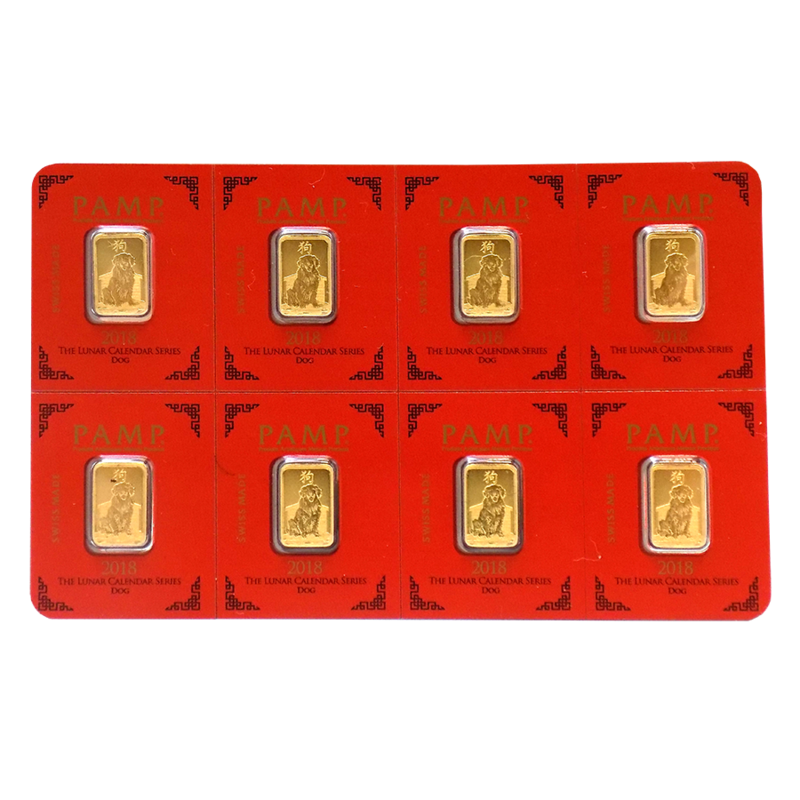 On the reverse is a chest full of gold coins with two Piglets either side; the weight and fineness also appear.